Assault is one of the most commonly charged crimes in New Jersey. 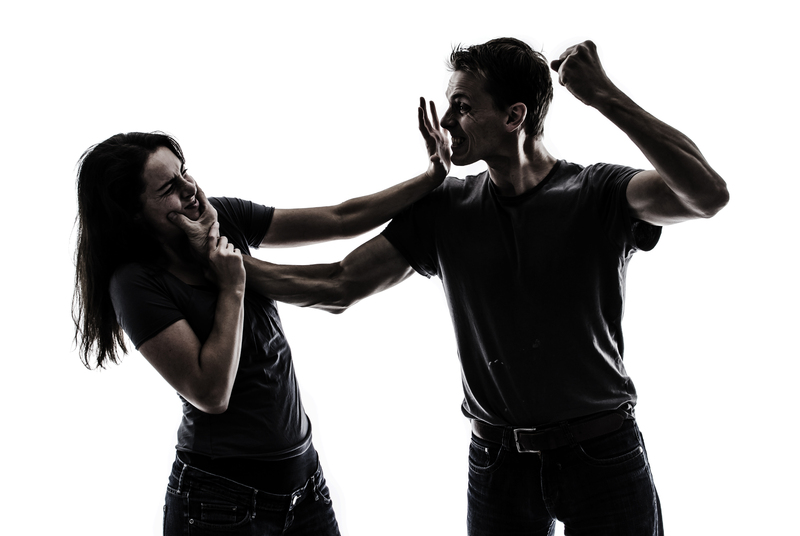 Assault charges can be Simple Assault or Aggravated Assault and can involve Domestic Violence, Temporary Restraining Orders or Violation of a Restraining Order. In any scenario, the penalties for assault in New Jersey carries serious and potentially life-altering outcomes. For example, if your charges involve a weapon or a handgun, then you may be facing second degree felony charges at the Burlington County Superior Court and mandatory incarceration. Before fighting any criminal charges for simple assault, aggravated assault or civil restraining order, contact an experienced Assault Attorney in Evesham. Proetta & Oliver is a criminal defense law firm with offices in Evesham, NJ. Our firm has dedicated its practice to criminal defense in New Jersey. We have represented thousands of clients facing criminal charges, including those involving domestic violence, simple assault, aggravated assault, assault with a deadly weapon, aggravated assault on a police officer, temporary restraining orders, violation of a restraining order, possession of a weapon for an unlawful purpose and criminal mischief. For an immediate and complimentary consultation with an attorney, please contact our office directly at (609) 850-8284. We can be reached 24/7 for your convenience and the initial consultation is complimentary. Do not hesitate to reach out to our firm with any questions of concerns about your pending case. Simple Assault is the lowest level assault charge in New Jersey. Typically, this kind of conduct can involved pushing, an open-fist slap, a closed-fist strike/punch, kicking or grabbing on someone’s arm or bodily appendage. Under N.J.S.A. 2C:12-1, it is a disorderly persons offense (misdemeanor) to either (1) attempt to cause or purposely, knowingly, or recklessly causes bodily injury to another; or (2) negligently causes bodily injury to another with a deadly weapon; or (3) attempts by physical menace to put another in fear of imminent serious bodily injury. As a disorderly persons offense, Simple Assault cases will be handled in the Evesham Municipal Court. If convicted of Simple Assault in New Jersey, you are facing up to six (6) months in the County Jail, up to a $1,000 fine, probation, a criminal record and possible restitution. Moreover, these types of charges can result in the victim filing for a restraining order if you and the victim have a “domestic relationship”. In any event, the prospect of a criminal record for simple assault is not something that should be handled negligently. 2nd Degree Aggravated Assault caries between five (5) and ten (10) years in a New Jersey State Prison, a felony criminal record a fine up to $150,000. As a second degree offense, you are also subject to the No Early Release Act (NERA), which requires that you serve at least 85% of your sentence before you can become eligible for parole. This means that you will not be eligible for parole on a 10 year sentence until you have served 8 ½ years, regardless of good behavior or work credits. 3rd Degree Aggravated Assault carries a term of incarceration between three (3) and five (5) years in a New Jersey State Penitentiary, a felony criminal record and a $15,000 fine. Depending on the exact charge, a fourth degree conviction for aggravated assault will either carry an eighteen (18) month sentence where you are parole eligible or an eighteen (18) month sentence where you must serve the entire eighteen (18) months without being eligible for parole. Under the Prevention of Domestic Violence Act, any incident involving certain criminal acts like Simple Assault or Aggravated Assault between two parties with a “domestic relationship” will serve as the basis to issue a temporary restraining order. A formal Restraining Order hearing date will be scheduled, at which point the judge will listen to testimony and review physical evidence regarding the need or a Final Restraining Order against the defendant. If you or a loved one are facing a temporary restraining order for something that occurred in Evesham Township, then you will be forced to defend yourself in Mt Holly at the Burlington County Superior Court, Family Law Division. Additionally, if you own any guns or weapons, you will be forced to surrender those items during the period of the restraining order or even indefinitely, should a Final Restraining Order be issued. Another fairly common cause for simple assault or harassment charges can be traced back to a domestic relationship. As mentioned above, incidents criminal complaints involving two parties with a domestic relationship (brother, sister, mother, father, wife, daughter, son, significant other, ex-partner, ex-wife, etc) can trigger domestic violence protections under New Jersey law and the imposition of a temporary restraining order. Moreover, municipal court like Evesham or the Burlington County Superior Court are known to prosecute domestic violence charges with great zeal. Rarely, will the prosecutor or judge let you “walk” from a simple assault or aggravated assault charge involving domestic violence. As you can see from the information provided above, criminal charges or a civil restraining order involving simple assault or aggravated assault charges require your immediate and full attention. You are subject to possible incarceration, a permanent restraining order, fines, a criminal record and even the forfeiture of you handguns or weapons. If you assault charges occurred in Evesham Township, NJ, then contact the criminal attorneys at Proetta & Oliver. With offices located in Evesham, our firm is available to represent you or your family member in their pending criminal case. Firm Partner, William C. Fay, IV, Esq., is a former New Jersey Deputy Attorney General, who has handled thousands of cases throughout his career. For and immediate and complimentary consultation with Mr. Fay today, please contact our office at (609) 850-8284.